Shoes clack against the linoleum floor of a temporary Sephora location. Excited tourists whirl around displays while local San Franciscans try to squeeze by. At the register, a handful of ladies argue with an associate about the VIB Rouge event that was supposed to take place today. The line wraps around the back half of the store while woman argue about how to pronounce Bite Beauty’s “Leche” lip crayon. A couple weeks ago, I received an email to attend a Sephora VIB event. Supposedly, the event was through invite only, shoppers would receive a 20% discount and a free bag. Also, the store would be bustling with brand ambassadors. I walked up knowing I wanted a new foundation, torn between Nars and Makeup Forever. When I entered through the doors, the women with fanny packs were my first heads up that the event was a no go. Because I didn’t want to waste a trip into the store, I wandered around searching for the perfect foundation while cutting through packs of fellow hunters. Finally… I found it. 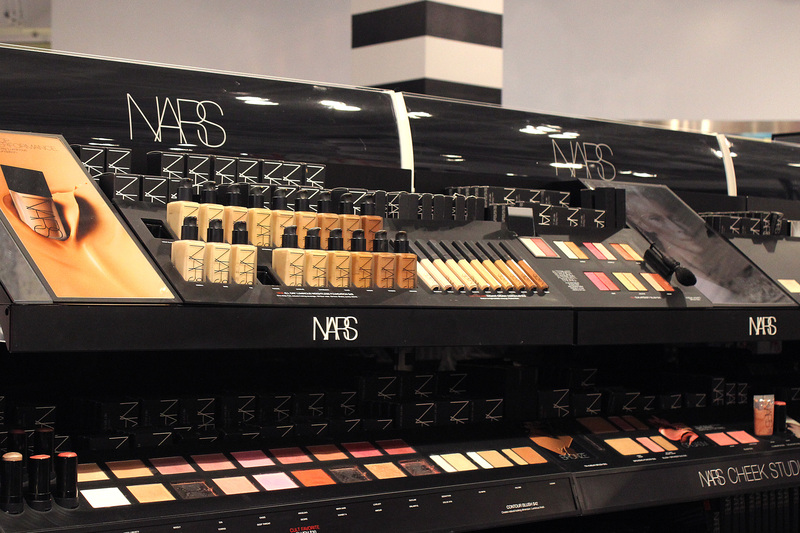 Perfection, sitting on the edge of the Makeup Forever display. HD? Check. Medium coverage? Check. Light olive skin shades? Bingo! Right then an associate with a septum ring asked me if I would like to be matched to the product. He led me to the Beauty Studio. He decided to match my neck because “I don’t want to match the product to your foundation.” Red flags went up. We sailed back through the ocean of makeup lovers to the display. He grabbed a brush and before I could recoil, he added a stripe of foundation down my cheek. He said, “This is your color.” Grabbed a box and handed it to me before disappearing without a word. I made my way to the end of the line where I joined other exhausted shoppers. Twenty minutes later, when I was at the front of the line, the black and white stripes on the wall were becoming hazy. Suddenly I hear, “If you wanted to participate in the event, you had to RSVP. We cancelled it because no one RSVP’d” Like gunslingers, phones were pulled out of their holsters to display the email we all received that had no mention of RSVP’ing. Finally, after some mumbling, our emails are accepted. I left feeling like I concurred a beast. The event was a crowded, exhausting, and deafening. When I returned home with an orange stripe down my face, I opened the box of my newest purchase to find a deep terracotta shade. Alas, an hour later I was driving to a different Sephora to get the right color, which was five shades lighter than the one I was originally sold. I believe there was a great deal of confusion surrounding this event. Although we received everything promised, I didn’t leave thinking “wow, I feel special.” I’ve heard that 80% of a companies profit comes from 20% of their customers. Well, Sephora had a full gang of VIB Rouge customers in the store, and I cant be the only one who left the event with a sour taste in my mouth. 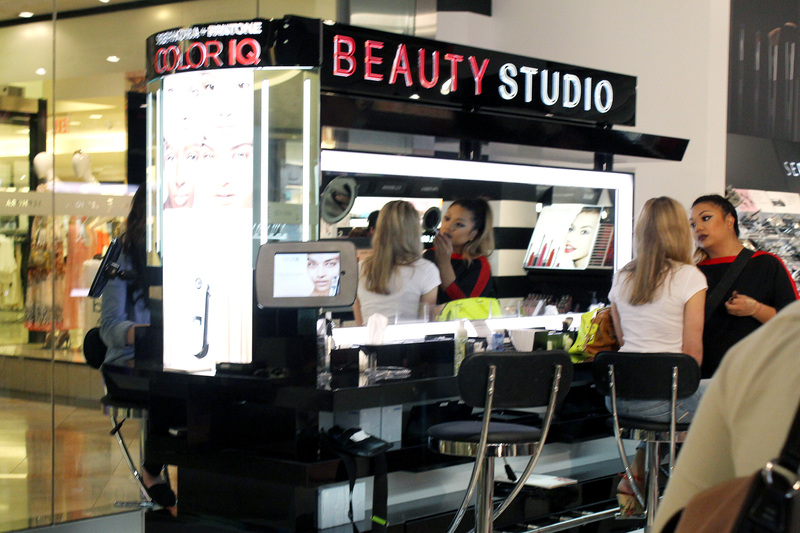 Posted in Beauty, Culture and tagged Foundation, Makeup, San Franciscans, San Francisco, Sephora, sephora rouge, sephora vib event, Shopping, shopping experiences, VIB Rouge event. Bookmark the permalink.